Here's the October edition of the monthly link up, Books You Loved. 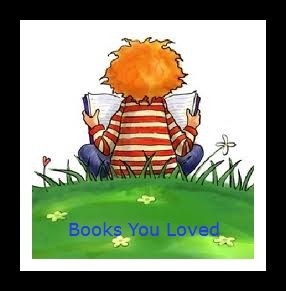 Just link in your posts about any books you loved – you don't have to have read them recently. They don't have to be newly issued ones. It is great to hear about old faves. To link in for this new edition of Books You Loved, just go to the Mr Linky box below and put your name and the name of the book (and author if you like) into the first box and copy the url for your post into the second box. Have a lovely reading month! Thanks very much for showcasing my book this month and I've added a new one! Great idea. Thanks for liking my post on Cookies for Grown-ups Carole and asking me to post! I am always quite shy about doing it, so your prompts really help!!! I'm happy to participate again this month by recommending The Cat's Table by Michael Ondaatje. A wonderful book! Thank you and I will link another book for this month. Have a nice day. Thanks for letting us know about this--love this idea! I chose one that both my husband and I loved. I've followed and linked! Thank you Carole!! I'm going with two rather different books today, a collection of letters from Groucho Marx to his daughter and a volume of cartoons from The New Yorker's weekly caption contest. Thanks Carole! Those all sound SO good! Thanks for the reminder on my blog Carole. Well, I got my own blog name wrong - that's what I get for not proofing! Lisa at TBR 313 - now I'm off to look for new books to add to the stacks. Great idea, Carole. I have chosen Alys, Always by Harriet Lane. A great read! Watership Down was a favorite of mine and of course the Harry Potter Series of Books. Adored "Little Women". I posted my latest review - The Kommandant's Girl by Pam Jenoff - which I absolutely loved and thoroughly recommend. Thanks for the prompt to link up! I just posted a second "book that I loved," The Sense of an Ending by Julian Barnes. Truly a remarkable book. Thanks for choosing my review to showcase Carole, it is appreciated. Thank you for giving me the opportunity to highlight author Day Leclaire's Wacky Women series! Thanks for adding my link, Carole. Once again it looks like a great list. Thank you Carole! Hi, Carole! I posted a proper link to Day Leclaire's Wacky Women series. Thank you! I just added a couple of links. Thanks for inviting me to participate!